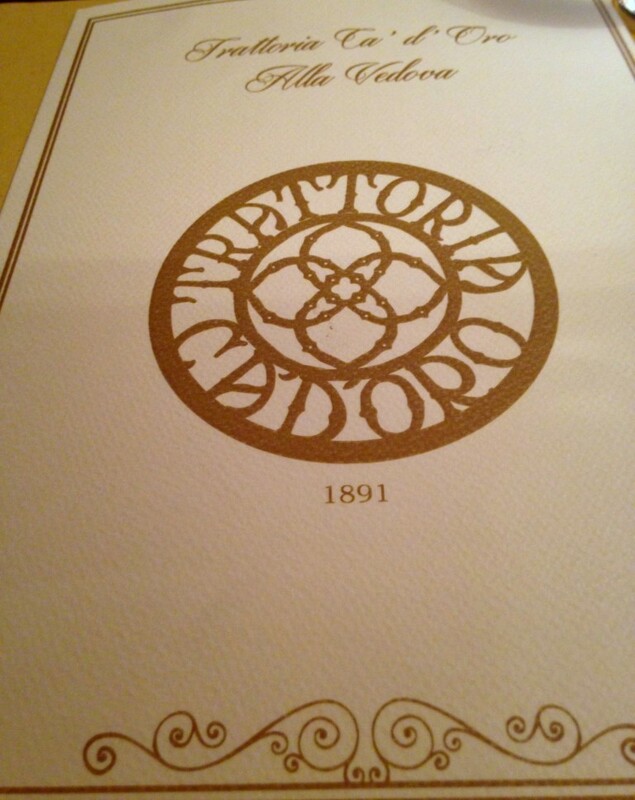 The last time we visited Venice, I had every intention of dining at Ca D’Oro. 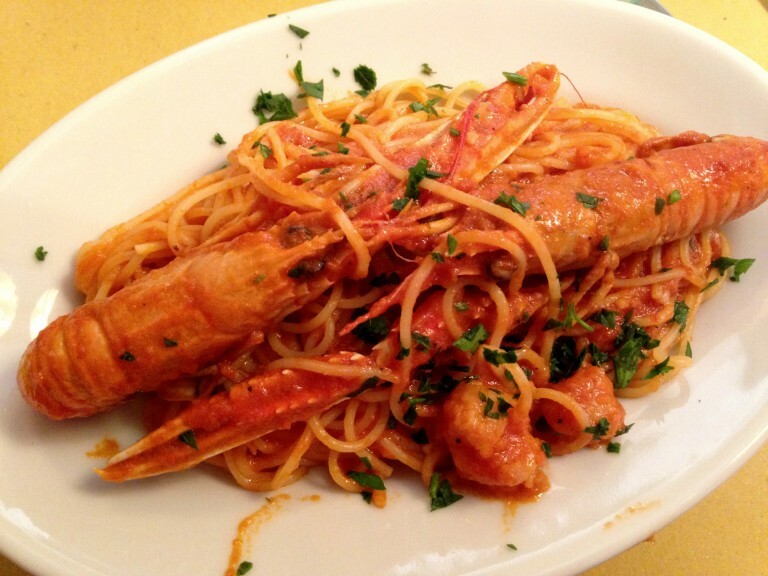 Eating in Venice can be a little tricky and I had Trattoria Ca D’Oro (Alla Vedova) on my mind. This past June, my family and I were on a quick visit to Venice with our uncle, and this was a restaurant that was brought into discussion once again. 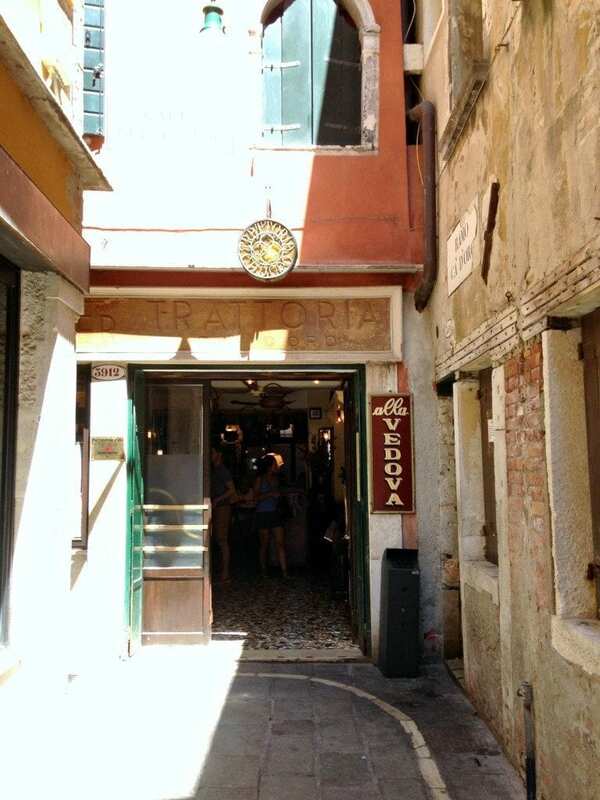 We had an idea of where it was located, but it was a serendipitous encounter with a local Venetian that finalized our decision on where to eat that hot summer day walking around La Serenissima. Venice is one of the most unique and beautiful places in the world! You can only get around by the various water transportations or by foot. It is so easy to get lost walking down the various calles and over and over the beautiful bridges. 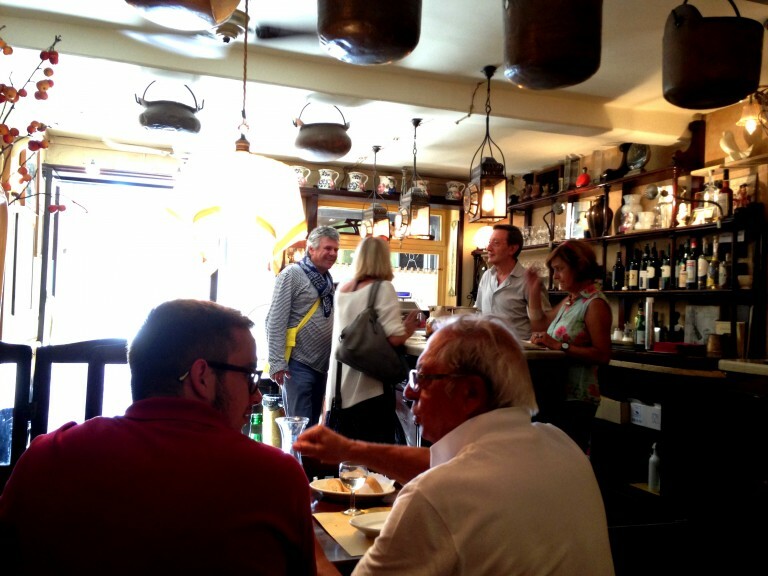 Like many of the famous cities in Italy, it could be very easy to fall into a tourist trap to grab a quick bite. I had read many reviews of the restaurant over the years. Some even were complaining that it is difficult to find, and I will say, it is really not. You can see the Osteria right from Strada Nuova and it’s right across an alley that is on the way to the Ca D’Oro vaporito stop. So our wonderful morning walk with a local Venetian named Gianni S. ended with our walking over to Ca D’Oro. He told us all the locals eat there and just tell the owners that he sent us over. We arrived a little after 1PM and the restaurant was full with a a few available tables. I really liked the charming old photos, the interesting art work and even the copper pots hanging right above our table. I can’t say too much about the servers. 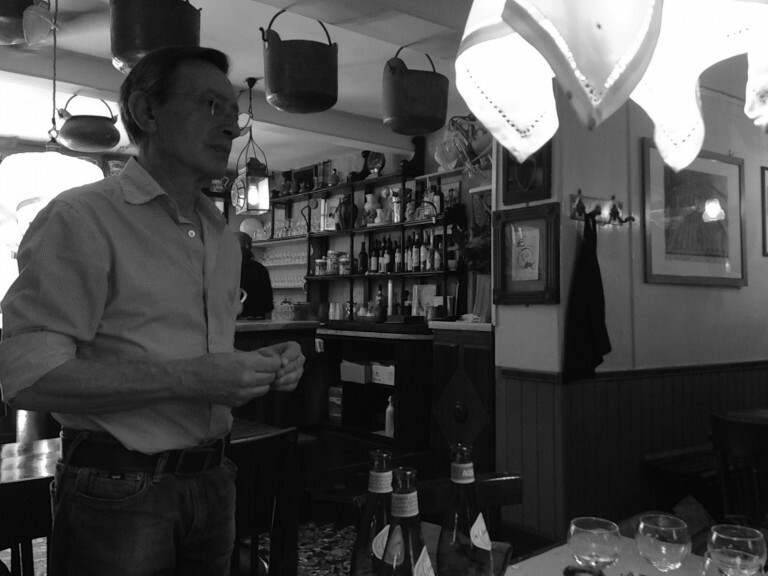 They weren’t the warmest of those that I’ve met around Italy, but the owner certainly made up for the lack of his staff’s friendliness. The owner happened to pass by our table to check on us and my uncle is as chatty as I am at a new place and he began to ask him some questions. While we were talking with the owner, the appetizers started to arrive. The seafood appetizer plate was simple and tasty. Since we were in Venice, we were staying with seafood. But I had read online that their most delicious main dish would be “Venetian Liver (Fegato alla veneziana). Maybe on the next visit I will get to try it. 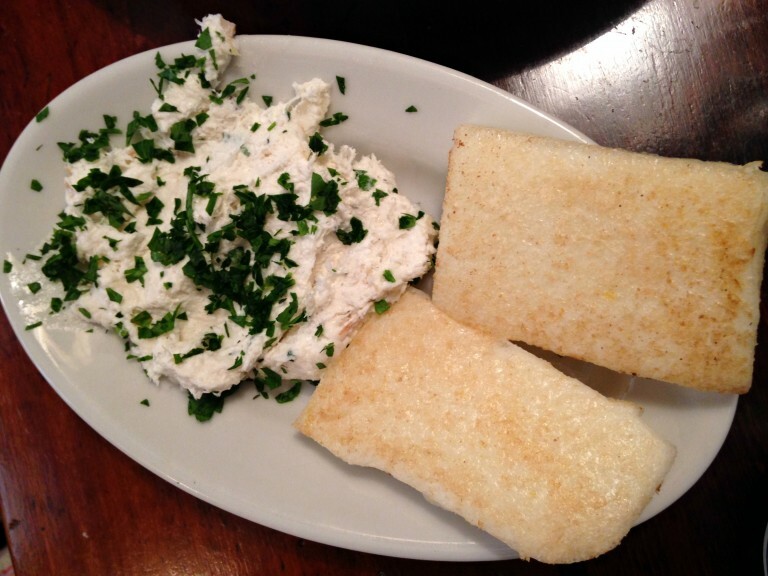 My husband had to try the baccala’ mantecato with polenta. It was a simple and nice appetizer to snack on before our pastas arrived. Zio Domenico and I both ordered the spaghetti alla busara. It was just the perfect size with scampi and a little touch of spice. 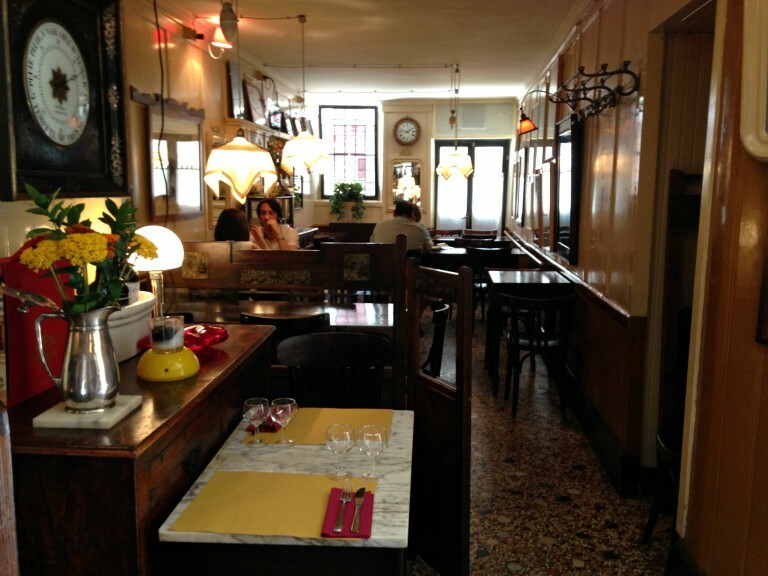 Ca D’Oro is a lovely and typical Italian trattoria. The staff is efficient and it’s truly no frills. The food arrived quickly and was tasty. The owner and his sister are pleasant and were easy to chat with. I did get a chance to chat with them both on the way out. I assumed they were a couple, and the owner corrected me and explained that she was his sister and that the restaurant became “alla vedova” (the widow’s) when his father passed away. I had snapped some photos of our new friend Gianni S. and showed them who he is. They did recognize him as a regular customer. I suggested they should thank him the next time they see him for speaking so highly of their establishment. Even though it was a place we had intended to visit, it was nice to hear a local Venetian say that is where we must go. Reservations are required for the evening, but you could get by walking in as we did during lunch. Just arrive a little earlier or later than 1Pm. 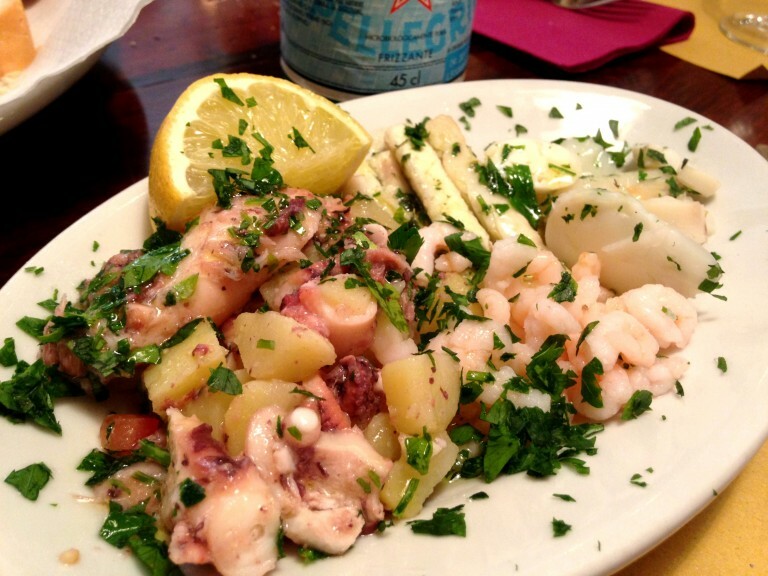 The menu is affordable and it is a quaint place to enjoy classic Venetian dishes. It’s the perfect place to enjoy the Venetian ambiance and to escape the crowds of San Marco. 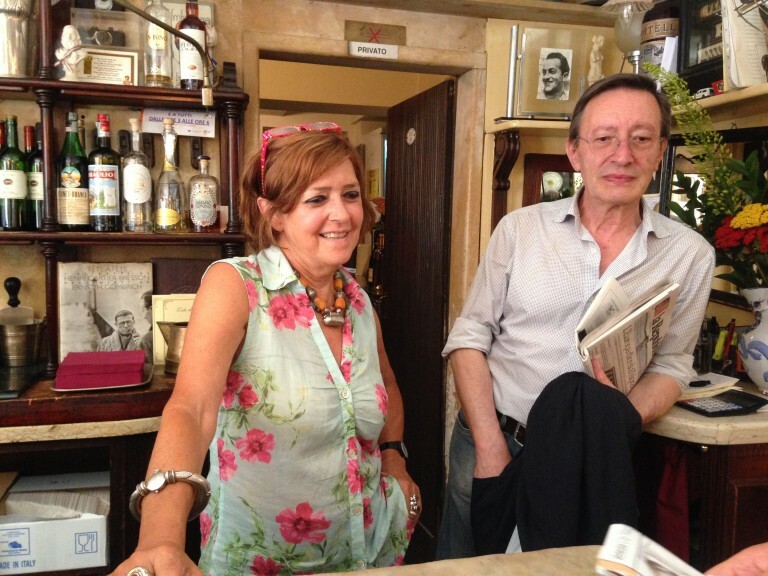 Ca D’Oro is a bacaro (a bar to enjoy wine and cichetti standing). 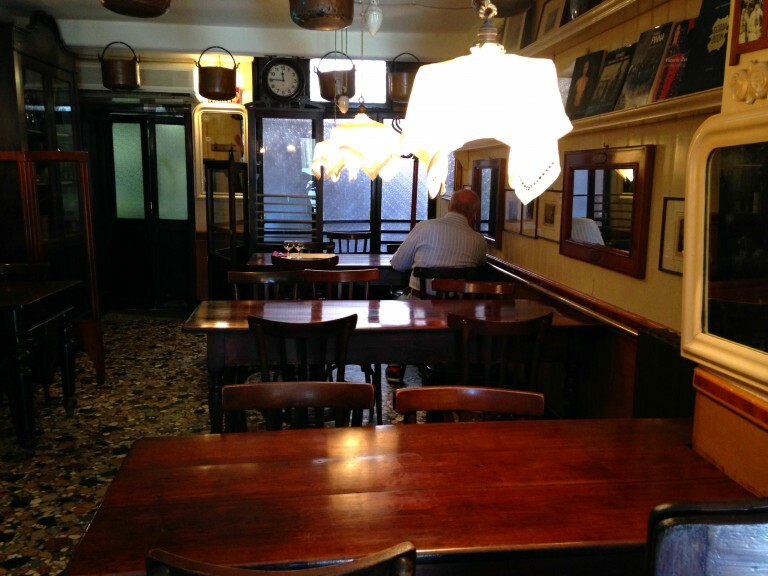 If you are in the mood to sit down and enjoy a meal, the tables are pretty close to each other, which makes it the perfect place to catch conversation tidbits that the owners are having with the locals (and to brush up on your Italian!). One important thing to take note of, there is no coffee or desserts on their menu. We found it to be the perfect excuse to check out another bar for a coffee and find somewhere to get the kids a gelato! Just get off at the vaporetto stop “Ca’ D’Oro” and go across the Strada Nova. If you are arriving walking from the Santa Lucia train station, go to the left from the Strada Nova. If you have difficulty finding it, just ask a local. It’s a very famous restaurant and most know where it is!